In the past few days, the Maldives have suddenly become the object of international attention. This happened after President Abdulla Yameen’s decision to declare a state of emergency so as to counter a “coup” to oust him. But what appears to be a purely domestic affair affecting the small archipelago, which counts only 400,000 citizens, hides in reality a much broader power struggle between two major powers, namely India and China. The origins of the ongoing crisis date back to February 1, when a ruling by the Maldives’ Supreme Court ordered to reinstate twelve opposition MPs who had been stripped of their parliamentary seats and to drop the convictions against a group of nine members of the opposition. The Court stated that those among them who were being detained had to be freed, and that the trial had to be repeated. The group also included former President Mohamed Nasheed, leader of the Maldivian Democratic Party (MDP), which is currently the main opposition force. He had won the archipelago’s first democratic elections in 2008, but he had to resign in 2012 because of a series of protests against the sacking of a judge, and one year later he ultimately lost a controversial election against incumbent President Yameen. Nasheem was condemned in 2015 in what is largely seen as a politicized ruling, and he has been living in exile in Sri Lanka since the following year. In early 2017, he announced his intention to run in the next presidential elections. A recent decision by the Supreme Court has deemed his trial unconstitutional. This causes obvious troubles to President Yameen, as it allows his main rival to enter again in the archipelago’s political process. Moreover, if the twelve MPs were actually restored, he would lose the parliamentary majority in favor of the MDP opposition. As such, after an initially mild reaction, Yameen’s government decided to strike back. Justifying the move as a way to counter a “coup”, he ordered the state of emergency, suspended the Parliament, had Chief Justice Abdulla Saeed and another top judge arrested, and detained Maumoon Abdul Gayoom, another former President (and Yameen’s half-brother) now aligned with the MDP. Opposition-affiliated media were targeted with cyber-attacks or blocked, and ultimately the remaining Supreme Court judges decided to revert the previous ruling. But the situation remains tense, with the military expelling some opposition MPs out of the Parliament by force. This raises the international dimension of the Maldivian crisis, whose implications go far beyond the archipelago’s domestic politics. A first step in understanding this aspect of the issue is examining the international orientation of the main political figures involved, which in turn reveals which major power is backing them. During his term, President Nasheem promoted a pro-India policy, which was naturally welcomed in New Delhi. In fact, the Indians have significant security and economic interests in the Maldives: next to the archipelago, which is located just 1,200 kilometers off the Indian mainland, stretch some of the world’s busiest sea lanes, which are hugely important for international trade. 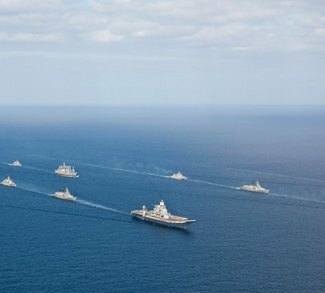 New Delhi has traditionally seen itself as a security provider in the Indian Ocean and wants to become the main power in this immense maritime region; as a result, it needs to preserve its influence over its islands and regards suspiciously any intrusion of a foreign power in the area. In this light, it is not surprising that India first supported Gayoon’s authoritarian government for decades (even organizing a military action – Operation Cactus – to prevent him from being overthrown by a coup in 1988); and then continued its involvement in the Maldives after his rival (Nasheed) won the elections in 2008. But since Yameen took power in 2012, the situation started changing. As a matter of fact, the current president has shifted to a marked China-friendly policy. In 2014, PRC President Xi Jinping visited the archipelago, and since then Sino-Maldivian relations have only grown stronger. Chinese investments started flowing into the islands, notably in regard to tourism and infrastructure. An important contract with an Indian firm to upgrade the capital’s Male port was discarded in favor of a Chinese company, causing protests in New Delhi and among Indian public opinion. In fact, Beijing’s infrastructure building in the Maldives is of particular concern for the Indians, who fear it may not only strengthen China’s economic presence, but also evolve into military installations like naval bases, airfields, and/or observation posts. This would be considered by New Delhi as an important threat to India’s interest and national security, given the archipelago’s position and to the complicated Sino-Indian relations. It should not be forgotten that, despite being both part of the BRICS group, India and China have longstanding territorial disputes and that New Delhi sees Beijing as a strategic competitor. Last summer, the troops of the two Asian giants were even involved in clashes along the border in Ladakh. Again, the “One Belt, One Road” (OBOR) initiative launched by the PRC is seen with suspicion in New Delhi, which considers it a means to extend Chinese presence abroad; and feels encircled by Beijing’s project to build ports in the Indian Ocean. Such fears were reinforced in August 2017, when three Chinese warships visited the Maldives. In spite of statements from China that it will not build any military base in the Maldives and of Yameen’s effort to reassure that he will maintain an “India First” policy, the situation worsened in the December of the same year, since his government rushed the Parliament to approve a Free Trade Agreement with China (a first in the archipelago’s history) and brought the Maldives into the One Belt One Road project. These initiatives are aimed at boosting economic development, even though they raise concern of excessive financial dependency on China, which holds 70% of the country’s foreign debt; something that may result in significant political leverage for the PRC. On its behalf, Beijing wants to reinforce its economic position in the Indian Ocean as part of its “Maritime Silk Road,” and also in order to access the region’s fishing areas to satisfy its growing food demand. China denies any military ambition, but New Delhi remains skeptical. As such, it is evident that India is supporting Nasheem and his MDP against incumbent President Yameen, who is in turn backed by China. The words of former foreign minister and MDP member Ahmed Naseem are illuminating: as reported by this article, when speaking about China’s project to build a port in the Maldives, he stated that President Yameen was causing “irreparable damage to India-Maldives relations and his actions will change the balance of power in the Indian Ocean. The security issues of the region need to be re-assessed and appropriate steps taken to keep the sea lanes safe and secure for the benefit of the regional countries.” This is an interpretation that is certainly shared in New Delhi, as the media response to the crisis illustrates. Indian newspapers have provided extensive coverage of the situation in the Maldivian archipelago, and some went further by openly demanding the government intervene to protect India’s national interest against Chinese interference. A notable example is an article published on First Post, which, since the beginning, states that behind the turmoil “lurches the Dragon.” It illustrates the current situation, describes Beijing’s growing influence in the islands, presents New Delhi’s official position (affirming it has chosen “reticence over action”) and ends with a firm statement: “Maldives is too strategically important for India to allow it to lapse within China’s stratosphere. India must act to secure its backyard […]”. The reaction by some important Chinese media to the Maldivian crisis is equally notable, as an article appeared on the Global Times shows. The piece, which is somehow a response to the one appeared on First Post, has a revealing title: “India must stop intervening in Malé.” The editorial describes India as an imperialistic power who wants to dominate its neighbors: it affirms that “the Maldives has had to choose between being manipulated by India or its independence as a sovereign state” and that “India has a strong desire to control South Asian countries,” to the point that “New Delhi takes it for granted that it can openly intervene in their domestic affairs.” Stating that “all small South Asian nations want to extricate themselves from India’s excessive leverage,” the article describes the improving Sino-Maldivian ties as an effort by Yameen “to maximize the country’s best interests” by ”developing diplomatic ties with all major powers.” It concludes by saying explicitly that “New Delhi has no justification to intervene in Malé’s affairs,” which implicitly accuses India of political meddling. The discourse coming from the two competing powers is clear: India is afraid of China’s growing presence in what it considers to be its own sphere of influence, while Beijing accuses New Delhi of political interference in countries that are seeking closer relations with the PRC. The reality is that both of them have relevant interests to pursue in the Maldives and are struggling to ensure their primacy over the archipelago. At this point, it would not be surprising if it emerged that the culprit behind cyber attacks against the opposition-affiliated media was China; nor would it be if, after initial reluctance, India decided to take a more assertive stance and intervene in support of the MDP, maybe through military means (after all, it has already done it in the past, and it would be quite easy to justify its action as an operation to preserve democracy and the rule of law in the islands). As such, what may at first look like an episode of political turmoil in a remote archipelago has in reality much deeper geopolitical and strategic implications, with two major powers competing for regional influence along the most important sea lanes of communication in the world. By now, Yameen seems to be gaining an upper hand, but this will not only have consequences over the domestic power play. At the international level, it also means that the Chinese dragon is prevailing over the Indian elephant in the struggle over the Indian Ocean. Still, the crisis is not over yet, and new moves in the immediate future (notably an Indian intervention) may turn the tide. But most importantly, geopolitical competition in the region will surely continue, and only time will tell what the ultimate outcome will be. And whatever that outcome is, it will have a dramatic impact on the power distribution and security outlook of the Indo-Pacific region. Is Bangladesh the Newest Addition to China’s ‘String of Pearls’? Maldives: A Domestic Crisis with Geopolitical Consequences?